Whether you're planning to fix a cracked tooth, our endodontist at Endodontic Specialists of North Louisiana is at your service to offer affordable cosmetic dental procedures. Cosmetic dentistry can help patients in achieving a cheerful and enthusiastic smile. Recent progresses in contemporary cosmetic dentistry means your teeth and smile can be improved rapidly and painlessly with efficient and cost-effective treatments. 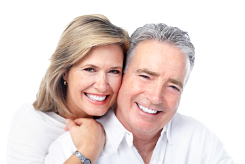 Our dentist is experienced and has been in the industry helping to restore smiles for years. When you visit Endodontic Specialists of North Louisiana, you'll gain from our personalized, focused method to cosmetic dentistry. We teeth cleaning and whitening services. Need veneers or dental implant restoration? We've got you covered. We'll carefully listen to you and address your anxieties before we get started and make sure you are at ease. In addition to extractions, we also do root canals and more! For more information regarding endodontics or to schedule a consultation, please contact our dental office. We also have emergency dental service options for those who are in need of immediate dental care. Call Endodontic Specialists of North Louisiana in West Monroe, LA for the best emergency dental service in the area.